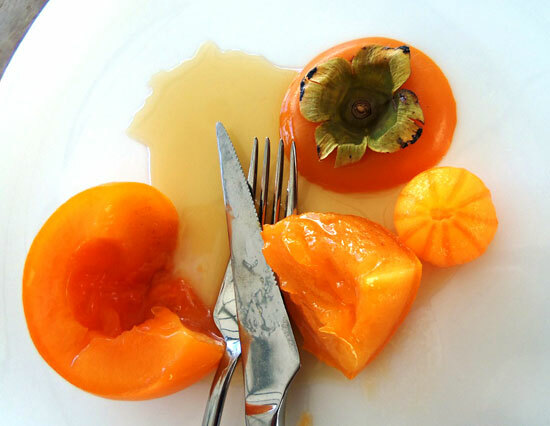 The sweet autumn fruit of this beautiful tree Diospyros kaki is known by many names around the world, variously called kaki, oriental persimmon, star fruit and sharon fruit. Locally, it’s known as snotappel in Afrikaans, making reference to the old-fashioned astringent varieties that turn soft and slimy when ripe. At Babylonstoren we have five non-astringent Japanese varieties of Diospyros kaki, all of which remain firm when ripe, and can be sliced like an apple, namely: Surugu, Izu, MW Fuyu, NZ Fuyu, and I Jiro. If you visit in the next few weeks you will be able to enjoy the last fruits ripening to a deep orange between the leaves, as they change to a copper-red. It really is a special autumn sight. And another treat would be to enjoy them at Babel, simply chilled with Amaretto. Would it be possible to grow these fruit in the Freestate? Frost in the winter and good weather in the summer but growing season quite short. Is there one type that is better than the other for these conditions?Can it be grown from cuttings and if so how to go about it? 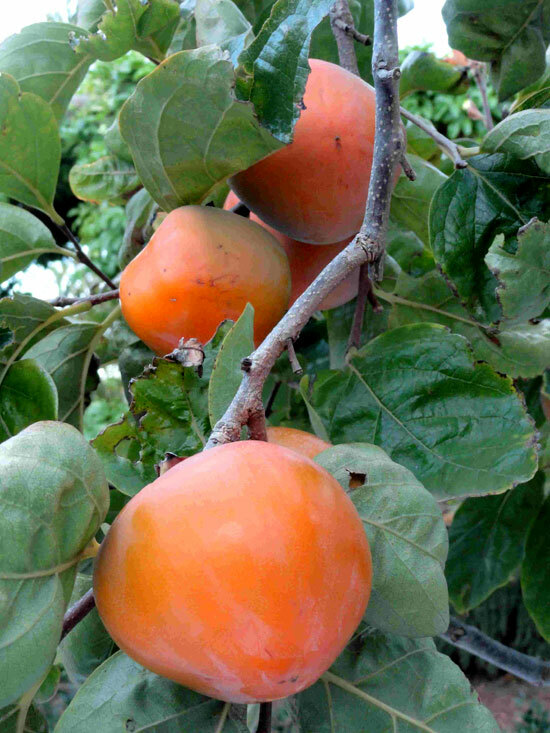 Wish I have all the answers to your questions about Diospyros kaki or persimmon, it is one of my favourite autumn fruit and a beautiful tree for the garden. We only have experience with Diospyros kaki in our Mediterranean climate with long, hot summers and cool wet winter. We seldom have temperatures below 3C and little to no frost. When dormant in winter it will however tolerate very low temperatures to -12C. Warm autumn conditions are needed to ripen and sweeten the fruit. When growing a persimmon for eating, select a non-astringent variety which you can eat while hard and crisp compared to the astringent varieties that go soft and mushy when ripe. The Japanese varieties we grow are Fuyu, Jiro, Izu & Surugu. The old fashion astringent variety germinates easily from seed. The non-astringent varieties are best from cuttings or grafted onto seedlings, unfortunately we have not had success in our nursery yet. They are also seldom available in nurseries. 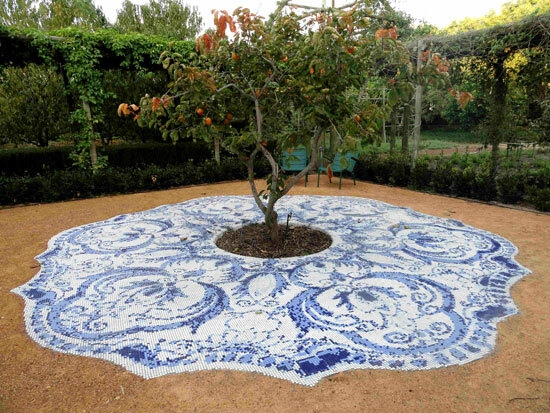 I have been looking to buy a persimmon tree for some time. None of the nurseries in the Boland can help. Any ideas?